Editor’s note: Editorials are opinion pieces that reflect the views of the author and do not necessarily reflect the views of this publication or its staff. Constructive feedback is always welcome. We all know it and can probably recite it by heart. “The Pledge of Allegiance,” is engraved in almost all every American above the age of five’s mind. Every day, kids all across America stand together and in the same monotone voice, recite the words like the mindless robots they have become. We have all been programmed to know the words and say them without any thought or emotion. We have been taught since kindergarten to stand stiff as a board, with our right hand over our heart, and tell the flag these random words we don’t understand. Looking in on it from the outside, it seems completely insane. The topic of the Pledge of Allegiance has been a hot one since recently ever since a sixth-grade student in Florida refused to stand for “The Pledge of Allegiance” and ignored his substitute when she tried to force him. He stated that “The Pledge of Allegiance” symbolizes racism in America. He was later arrested (not for refusing to do the pledge, but rather because he caused a disruption in school and disregarded the police). The substitute apparently didn’t know that a student cannot be forced to do the pledge. And just to clear this up, “The Pledge of Allegiance” is in no way required. Students do not have to say every part of it, say any of it at all, or even stand. It has been completely optional since 1943. As it should be because frankly, “The Pledge of Allegiance” is a bizarre brainwashing mess that makes other countries find us even weirder than they would have already. We are already far more patriotic than the other G7 countries, but the pledge is really pushing it. 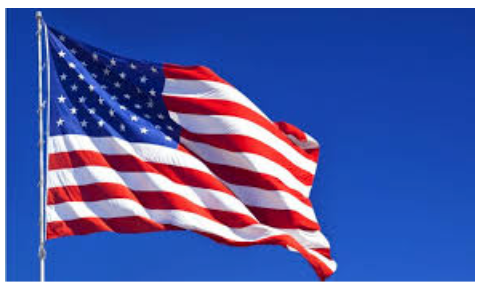 Every state besides Hawaii, Iowa, Vermont, and Wyoming require that every school starts every day with “The Pledge of Allegiance.” So outside of these states, every school in America starts the day with the odd words. Though once again, you cannot require individual students to recite it at all. Small children don’t even know what it is they are saying, much less whether or not they want to. It is strange that we make children say these things when it’s completely meaningless to them. They aren’t actually pledging their allegiance to their country, they are doing as they were told. To them, they are just being good students and following these arbitrary directions. Overall, “The Pledge of Allegiance” is a bizarre custom that seems an awful lot like brainwashing, and it’s a good thing it is not required. Students like the one in Florida have every right to refuse to say it and should be left alone if they choose not to. I get what you are saying, but I think it’s just a good way to show respect to fallen soldiers. I don’t think we should take it away. For once, I agree with Gavin. If you can’t sit through a 20-second pledge of respect, then that’s called laziness. It’s just a way of respect. If you sacrificed yourself for a cause, you wouldn’t just want everyone to look away, forget about you, and pretend it never happened. You would want people to remember you and your heroism. Bruh Last year, I wouldn’t say the God part, then I just wouldn’t stand, + then even Mr.Yohn, my 8th grade homeroom teacher thought of me as weird. Then one day, I finally stopped. Nowadays, I’ve never done the Pledge of Allegiance at MHS because announcements are during 4th period, but I have PE 4th. Finally, someone finally understands how the pledge is generally useless. That has to be the most backwards and ignorant thing I’ve ever heard. The pledge stands for freedom, freedom has to be the most useful and important thing to ever exist. Loved the article, though! Keep it up! My apologies there should be an indivisible between god and with liberty. I have a Ms. Thach conspiracy theory. In secret, she is Chevy. Ms. Thach is actually named Chevy Thach. She adopted a dog and named is Chevy to cover up her story. I uncovered it all. She is a dog. Every night, she unwinds down as she unzips her body suit and takes off her speaking collar.All of her instagram posts… FAKE… just another cover up for the real truth.